Two nights ago, Xavier Dolan’s film Mommy cleaned house, yet again. This time it was an arm-full of trophes at Montréwood’s Jutra awards. The 2nd most important back-up actor in the film was Patrick Huard. Regarding Montréwood cinéma, we often say if you want to know what film is worth watching (ie: what constitutes a “good” film), then follow the “director”. Conversely, in Hollywood, more often than not it tends to be the reverse; people in Hollywood say you should follow the “actor” to find the “good” movies. One major exception to the Québéc/Montréwood rule of following the “director” is in the case of the superstar actor, Patrick Huard. In Huard’s case, if you follow the actor (just as you would in Hollywood), you are bound to find the best films. With a few exceptions, if you look at the biggest of the big Montréwood films from the mid 1990s to present, Patrick Huard has held either a leading acting role, or a major back-up role. I’ve never personally seen Huard walk down the streets in Québec, but I can only imagine he would be pounced upon from all directions by adoring fans looking for autographs. The above films have gone down in the Montréwood, Québec and Canadian history books. I think it’s fair to say that so has Patrick Huard. If you want to hear a half-hour conversation between Patrick Huard and his co-star in Mommy, Anne Dorval, you can hear it on Radio-Canada’s radio program, “L’autre jour à la table d’à côté” (“The Other Day at the Table Beside Us…”). Click HERE for the program on Radio-Canada’s official website. Check out some of his work… I think you’ll be impressed. A little bit of warning: If you have wine, beer, or something stiffer in your cupboards, you may want to grab a glass of it now… because you’re going to need a drink after reading this. If you are already well-versed in Canada’s & Québec’s political spectrum, you can skip much of this post and go straight down to the section entitled : How the media’s elastic band became stretched (below). The first half of this post is going to give you some general information so that the second half makes sense. This unfortunately is not the type of post that I can break up into smaller chunks, so bear with me. This is a post about how political tension has been building in Québec’s media for years (particularly since the 2012 student protests – which you can read about by clicking here regarding an earlier post about Gabriel Nadeau Dubois), and how it appears that the elastic band just “broke”. It will be interesting to see if someone pulls out a “new” elastic band in the coming weeks. I have always listened to a LOT of talk radio (both from English stations across Canada, and in French from both Québec & other provinces). The French-language talk radio I tend to listen to the most are Radio Canada’s “Radio-Première”, primarily from Montréal and Toronto, as well as RCI’s Radio-X in Québec City. As far as where these two radio stations sit on the socio-economic and political scale in Québec, you couldn’t get two radio stations further apart. 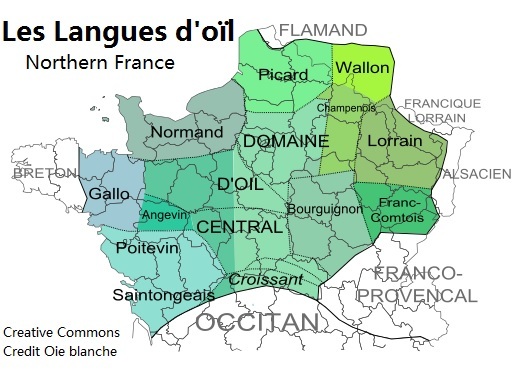 I find that in Québec, radio & TV media can be labelled on a wide-ranging scale in terms of “political ideologies” much more than in English Canada (people often talk about their choice of media in the same breath as their political allegiances). It is quite interesting in this respect. 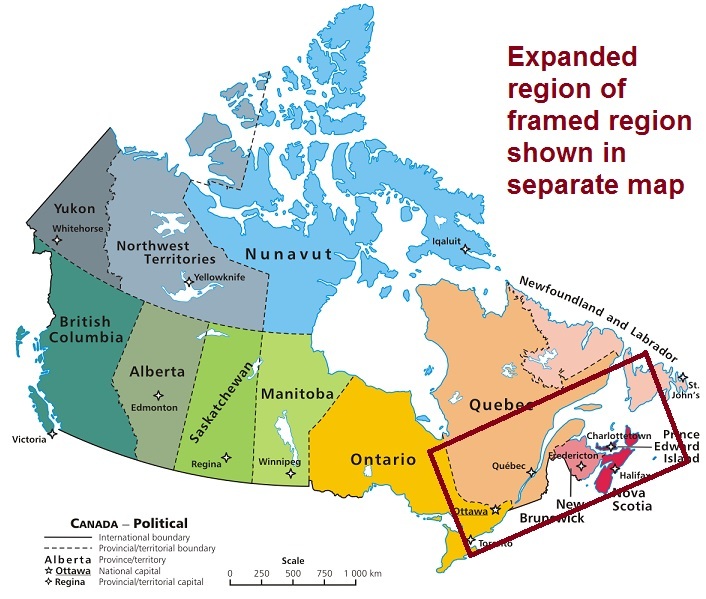 In English Canada, with the odd exception (such as the now-defunct Sun News, or certain talk radio stations / shows), people tend to think of English-language radio & TV media as fairly middle-of-the-road, with aspects which can appeal to people on all ends of the spectrum. With this said, despite Radio-Canada often being grouped into a range which often appeals to certain personalities on the left, I do not believe the “bulk” of its programming venture too far beyond a “mid-range left”. Of course, there are exceptions to this, and we can’t paint all programming or all hosts with the same brush. In the same vein, Radio-X often is often labelled as a station which would appeal to those on “far” right. 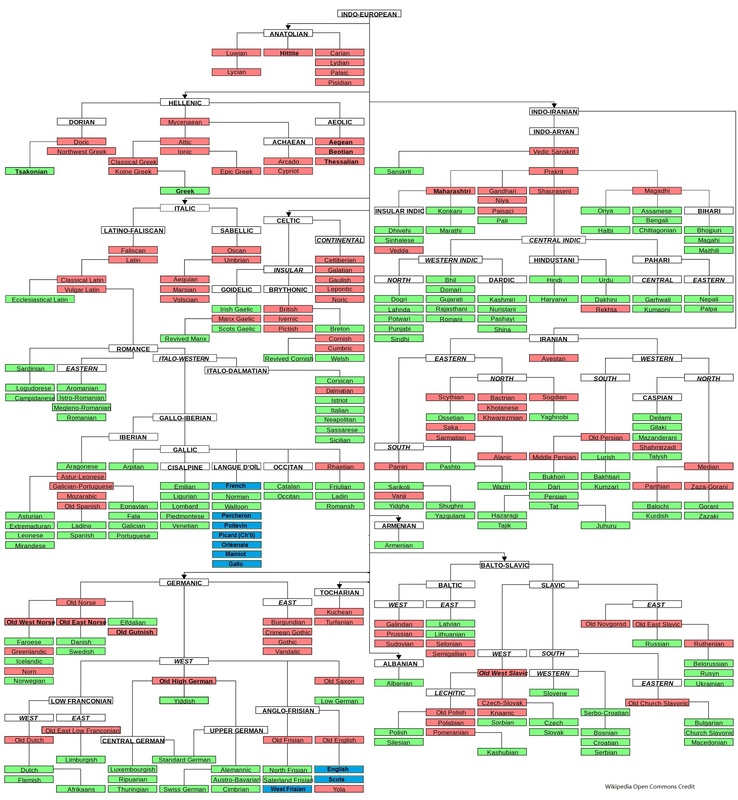 However, although their programs have a good-deal of overlap with the Conservative party, I do not believe the “bulk” of their programming ventures much further to the right than perhaps what former Federal Progressive Conservative party occupied, or what the formal ADQ party in Québec occupied (however, they are not as “eco” as what the former federal PCs were, and their “eco” stance is one area where they very much overlap with the current Conservatives). Despite being on the right-end of the Canadian spectrum, Radio-X does not have any religious element to it (Canada generally does not have any Federal parties which venture, on the whole, into religion politics — and where there is a religious element, it is often isolated to a small handful of “independently-minded” MPs or MLAs). If we to compare where Québec’s TV & radio falls on a comparison with Canadian political partisan scale, the following chart can be quite telling. Here is what the chart looks like if we take out other Canadian parties, and just concentrate on those which are players in Québec (federal or provincial). Generally speaking, adherents who find their political voice reflected on the political chart will also find their voice reflected in the same corresponding range on the media chart. Take a look at both of the media & political charts, and see if you can line up which media best fits the physical locations of various political parties on the same scale. This is important, because it plays into the rest of this blog post. Because so many parties are so close on the political spectrum (even if their platforms are different), it’s all in the nuances. In the above chart, although I didn’t mention it, the various NDP & Liberal provincial parties would be roughly positioned in the same place as the Federal NDP & Liberals. For the sake of reference, I threw in some provincial parties outside of Québec (since there is a variance between the provincial PC parties… Alberta’s is a prime example of one of the PC parties which has made a slight shift to the left over the past 3 to 4 years). (2) Individual platform issues, rather than an overriding vote for a party as a whole (It is for this reason why we see elections boil down to 3 or 4 major issue demarcations, even if those 3 or 4 issue only constitute 10 or 20% of a party’s overall platform). These three elements are also the primary reasons why the average Canadian voter is more apt to change their vote from one election to another. There tends to be much less “party loyalty” or “lifelong loyalty” in Canada than exists in other countries – likely because there is so much overlap. It just takes one or two major platform issues, or the right (or wrong) personality to come along, and the average person will be more apt to change their vote in a heartbeat (otherwise we would never see polls in Canada shift to the extent that they do, sometimes right up to election day). Considering that I regularly listen to both Radio-Canada and Radio-X (which are supposedly at “opposite ends of the scale”) I find it fascinating that elements of all these media, as well as the written press (which I didn’t place on this chart) are so often at each other’s throats! They sometimes hurl accusations at each other even louder and more spiteful than any ruckus in the House of Commons, as if they’re yelling at their worst enemies. I’m not taking a partisan stance as I write the rest of this post (Politically speaking, I’m going to approach the rest of this post as objectively as I can). For about the last three to four years, private talk radio station hosts, newspaper columnists, members of the artistic community (some of whom happen to be hosts at Radio-Canada, Télé-Québec and TVA), and certain television program hosts on all TV networks have been engaged in a verbal tug-of-war – Mostly between the Left and the Right. Because Québec City’s media is more to the “right”, whereas Montréal’s media is more to the “Left”, this verbal war has also taken on a somewhat “geographic” form (Québec against Montréal, and vice-versa). The geographic aspect to this verbal media war is much more talked about in Québec City than it is in Montréal. People in Québec City are much more “aware” of this geographic war of ideologies, perhaps owing to the fact that Montréal doesn’t pay much attention to Québec City’s media, whereas people in Québec City are accustomed to seeing Montréal’s media. 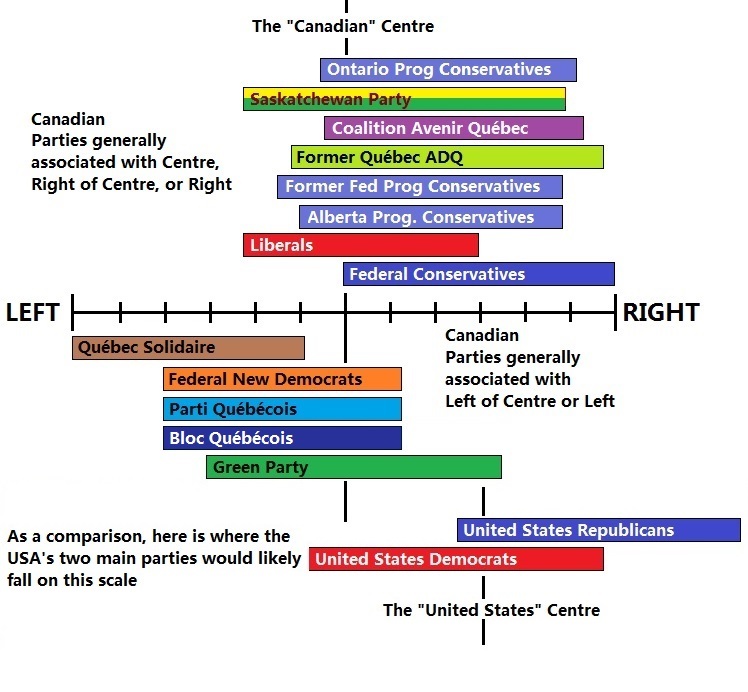 People in Québec City are also much more aware that Québec generally votes to the “right” of the centre line, whereas Montréal generally votes to the “left” of the centre line. When Montréal’s media takes aim at anything right of centre, I get the impression that Montréal’s Left believes its Left-leaning media is scoring unhindered, unchallenged political points … whereas nothing could be further from the truth. The moment Montréal’s “Left-leaning” media takes a shot at the “Right” (usually the Conservatives, but also the CAQ, anyone who takes a union to task, budgetary restraint issues, certain industries associated with a rightist perception such as oil, etc. ), Québec City’s “Right-leaning” media, within hours, goes bazerk! The phone lines of Québec City’s talk show programs light up, Québec city twitter accounts smoke from being overworked, and Québec City newspaper columnists put pen to paper for the next day’s editions – all to counter the shots fired from Montréal’s Left-leaning columnists and media programs. But what I find extremely interesting is that when Québec City’s media also goes on the offensive, most of the time Montréal just yawns, or doesn’t even notice. Since 2011/2012, I’ve been hearing Québec City’s “Right-leaning” media cry foul. For lack of a better word, they feel that Montréal’s “Left-leaning” media has high-jacked the province’s political scene. Whether that’s accurate or not, I’m not too sure (everyone is able to vote, after-all, and certain regions and the province as a whole has taken a few sharp turns towards both the right and the left over the last couple of decades). And the elastic band broke! First I will say that I believe Radio-Canada, for the most part, does a very good job of remaining neutral (most of the time). They are a big organization, with many different personalities – sometimes very strong personalities. However, I believe that the majority of their on-air (and off-air) personalities do a commendable job of keeping any political affinities hidden from the public (as they should). The fact that I have difficulty guessing the political inclinations of most on-air Radio-Canada personalities speaks volumes (in a good sense). But something went “astray” at Radio-Canada last month which I think is representative of numerous media outlets in Montréal – and they found themselves in the centre of this verbal media war of ideologies. I’m guessing this incident only involved a few strong-headed, opinionated individuals. But those individuals were aparently able to get their fingers on the “broadcast” button — which broke the elastic band. A little bit of background: The Conservatives cut almost $200 million from Radio-Canada/CBC’s budget last year, which resulted in 800+ people being layed off. Radio-Canada employees held protest rallies and even a massive on-air protest concert. You can see people at Rad-Can are not happy. (As an aside, the federal Liberals cut $400 million from Radio-Canada/CBC in the 1990s, but I don’t think we ever saw the same extent of displeasure towards the Liberals, at least not on the air). In August 2014, Radio-Canada aired the anti-Harper documentary, “La droite religieuse au Canada”. This is possibly the most politically controversial Canadian documentary of the past 30 years (or at least since Denys Arcand’s “On est au coton”). After it aired in August, the Prime Minister’s head of communications publicly condemned Radio-Canada, stating that he “feared his worse suspicions about Radio-Canada were true”. The Radio-Canada/CBC Ombudsman became involved. The Ombudsman stated that the documentary’s airing did not meet the corporation’s standards requiring the organization to remain politically neutral. The documentary purports that Steven Harper’s entire basis for being in politics is to align himself, and Canada’s governance, with Israel — so as to prepare himself and the world for the second coming of Christ, thus allowing him, his followers, and Alberta to go to Heaven. I’m not BS’ing you here! (I couldn’t make this kind of stuff up, even if I tried). If you don’t believe me, then click on the above link to watch the documentary yourself. The link will take you to Radio-Canada’s own online re-broadcast site. The documentary is an hour-long. For a very long time (years), Québec City’s Right-leaning media had been going nuts over this type of bias, and have consistently cried foul over these types of things. For months they beefed up their condemnations of Radio-Canada, of Montréal’s Left-leaning media (be it Télé-Québec, Rad-Can, newspaper columnists) and of the province’s very politically-vocal union movements. In the meantime, Montréal’s media (both television and written press, as well as Montréal’s based union federations) stepped up their attacks of anything right-of-centre. On February 9, 2015, the host of a gourmet-cooking television show on Radio-Canada, Christian Bégin, took take part in anti-Québec-Liberal demonstration in a distant region of Québec. He joined the unions to very publicly protest provincial Liberal budget cutbacks. He appeared on television shouting and screaming in the name of anti-Liberal protestors. This caught the ire of Québec City’s right-leaning media. Québec City’s media tore into him, as did the very few elements of the Right-leaning written press in Québec. On Feb 11, 2015, Lise Ravary, one of the few Federalist and Right-of-Centre columnists at the Journal de Montréal, wrote a column condemning Bégin’s actions. In her newspaper column, she took personal shots at him for living the high-life, with a high salary paid by taxpayers (at Radio-Canada), and labelled him as a hypocritical, wine-sipping, gourmet loving bourgeois who is all talk, but doesn’t care about the little guy for whom he was protesting (Ouch! Harsh! — now you can see they type of verbal war that has been going on since the 2012 student protest, between both sides!). Rather, she charged that his protest was motivated by political reasons (against the Liberals, versus truly caring about the little guy). She called him and those like him “La gauche champagne” (which means the “Champagne Left”). [Don’t quote me on this, but I believe the expression in Europe would be “La Gauche caviar“, which is slightly different from our expression in Canada]. This garnered a lot of attention in the media (both Left and Right), and all media circles (the Right, the Left, sovereignists who traditionally lean Left, federalists who are traditionally lean Centre or Right-of-Centre, artists, columnist, etc)… basically, everyone went to town over this one. It was a verbal brawl like I haven’t seen for a very long time – and once again, it happened over the airwaves. Around Feb 12, a host of Radio-Canada’s radio show “La soirée est encore jeune” sought revenge and took direct aim at the columnist Lise Ravary, calling her an “idot” (une dinde) on air, as well as taking aim at Québec city radio stations Radio-X and FM93, calling them “garbage”, and going so far as to lump anyone who is right-of-centre in the same category (again… this is what has been happening for 3 to 4 years, and it has been getting more and more out intense). On February 13th, Québec City’s 93FM and Radio-X “let into” Radio-Canada and its program “La soirée est encore jeune”. Radio-X’s host, Dominic Maurais, said he heard Rad-Can was going to move “La soirée est encore jeune” from the radio to television in order to give it more “visibility”. Maurais basically gave Radio-Canada a direct on-air warning, stating (actually, yelling, on air) that if Radio-Canada dares to make such a move by moving this program from the radio to television, considering that this program regularly blasts anything right of centre, that it will wake the dragon and will spell the end of Radio-Canada. Radio-X basically stated that the cuts Radio-Canada was subjected to from the Federal government will be nothing compared to what they will suffer should “La soirée est encore jeune” be moved from radio to television. Maurais basically told Radio-Canada to get ready to be privatized if things continue as they are. I believe it was around Feb 14th, right after the above, when Radio-Canada aired a very peculiar episode of its popular prime-time family sitcom “Les Parents” (kind of like a Radio-Canada produced version of “Different Strokes”). In this episode, the Radio-Canada scriptors took direct aim at the Right leaning Conservative Party by having the actors say that it is an embarrassment if a family has children who support the Conservatives. In this prime-time episode, one of the children of the fictional sitcom family said that he wanted to grow up to be a Conservative so he could “change everything in the world”. (Again, I’m not kidding you!). His parents (in the show) told him he wasn’t raised like that, and to not tell anyone that he wants to be a Conservative. Whoa!! Holy Crap! The next day, independent media again went nuts with this one. Radio-Canada was blasted. On February 15th, Harper made the unprecedented decision to wade into this very public spat himself (I was completely shocked it got to this point! — I’m not saying he was wrong, but holy smokes… I couldn’t believe it actually got to this point) Harper granted an interview to Right-wing journalist Éric Duhaime of Québec City’s right-of-centre FM93 (the second most popular talk-radio station in Québec City). Harper stated he (quote) “believed there are anti-Conservative elements inside Radio-Canada with an agenda against him”. I believe it was the same day as Harper’s FM93 interview that Radio-Canada aired, unbelievably, for a second time, “La droite religieuse au Canada”— the documentary which alleges Prime Minister Harper’s entire agenda is to religiously rule and align Canada with Isreal so as to await the second coming of Christ so he can go to Heaven (without giving a “rat’s behind” about Québec, might I add — at least that’s the gist of the “documentary”). Usually when I wake up in the morning, I grab my iPad and quickly skim the headlines before crawling out of bed. The next morning, I just about fell out of bed when I read the the #1 headline on Radio-Canada’s website at 7:00am – the morning of February 16th. Quote: “Steven Harper believes many Radio-Canada employees “Hate” Conservative Values” (the link for the article is here: “Beaucoup d’employés de Radio-Canada « détestent » les valeurs conservatrices, croit Stephen Harper”). So how did this very public p@##ing contest… er … media catastrophe from hell… er… spat all end? Well it looks like Radio-Canada’s senior management must have become involved. By 10:00 or 11:00am, the above article was no longer anywhere to be found on Radio-Canada’s main webpage. I’m guessing it must have been ordered taken down by someone higher up in management who wanted put an immediate end to this drama of epic tempertantrum proportions “innocent misunderstanding”. The above article was taken down, moved and buried where nobody could find it… at the very bottom of an off-shoot page in the political section of Radio-Canada’s website. This was the first time I had ever seen Radio-Canada take down a headline article within 3 or 4 hours of posting it. I can just picture the emergency meetings senior management must have held on the top floors of the Radio-Canada tower that morning. What I would not have given to have been a fly on their wall that morning! I suppose this sort of thing is bound to happen from time to time in every media organization. But considering the background of this last incident, I was surprised more self-restraint was not exercised much much earlier. Regardless, it appears that everyone is now finally exercising a great deal of “lip-biting” self-restraint. I have been waiting, watching and listening since the end of February – but for the first time since the 2012 student protests, everything seems to gone silent in this vicious Montréal-Québec, Left-Right tussle — on all sides. I guess the elastic band did finally break. But guess what’s right around the corner… Union backed student & street protests against Liberal government cutbacks. I have a funny feeling it may soon be a case of “here we go all over again”. As an aside, just so you know that these sorts of episodes of crazy manipulative mania can happen in English Canada too… I can give you a similar recent example of where a few over-zealous employees at the CBC pulled a similar stunt. It happened when CBC decided to air the hour-long documentary “The Psychopath Next Door” (a documentary on what clinically defines a psychopath). CBC aired this documentary in the time slot just before it aired the Fifth Estate’s hour-long episode “The Unmaking of Jian Ghomeshi”, (a investigative reporting program which investigated Jian Ghomeshi). “Coincidentally” the Unmaking of Jian Ghomeshi gave all the same psychopathic signs mentioned in the earlier clinical documentary. Don’t even try to tell me CBC’s back-to-back airing for two straight hours was not a coincidence; it sure looked like an effort on the part of CBC to seal-the-fate of Ghomeshi in the minds of the public, but more significantly, to deflect public criticism away from how the CBC handled the whole Ghomeshi affair, and shift more anger towards Ghomeshi (sneaky!). Frankly, it was morally and ethically wrong on the part of the CBC to air the clinical documentary right before they aired their investigative report on Jian Ghomeshi, regardless of the allegations against Ghomeshi. But with all this said and done… fortunately I still believe that the vast majority of Rad-Can’s & CBC’s employees and management do their best to remain (and succeed in being) neutral, and do not, nor would not act on any sort of hidden agenda. Most people who work at Rad-Can are just normal people, raising normal families, and trying to make both ends meet. Personally, I have met a good number of people over the years within the organization, and have followed the organization for long enough to allow me to believe otherwise (the vast majority are normal people like you or me who would never pull these kinds of stunts). I think the issue simply came down to a question of the sheer size of Radio-Canada, with hundreds and hundreds of employees. In an organization of this size, you’re bound to get a few very opinionated individuals (even if they are not the majority) who will make the odd poor decision and who will goof up. As with anything in life, it’s always the most vocal ones, or the most opinionated ones whose opinions tend to come across the strongest (or push the broadcast button the quickest). Thus these few high-profile people sometimes tend to give rise to our media outlets acquiring an undeserved bad rap (on the radio, on TV, and in the written press). I’m not going to give a shortlist of who I think these individuals are, but as you acquaint yourself with various media, you’ll soon find out who I’m talking about – on the Left, in the Centre, and on the Right. I’m still watching, and listening – across all media platforms, to try to figure out what the next chapter in all of this will be. Quite interestingly, PKP has become the head of the Parti Québécois since the above spats. It has become more than obvious that a good number of reporters, radio hosts, and television hosts on the left, centre and right so not like PKP and the PQ’s choice in having him as the head of their party. This “less-than-kind” temperment for PKP (and coincidentally his wife, Julie Snyder) seems to have “united” the media across Québec, regardless if the media personalities are Federalist or Sovereignist, or left, right or centre. Media elements which usually compete (and take shots at each other) on an ideological basis seem to have lost interest in each other for the first time in years. Rather, they’re all focusing on what is happening within in the PQ (giving the PQ largely disproportionate news coverage — and often not good new coverage). This in itself is quite interesting. This is not to say that competing media elements have ceased taking shots at other media elements with opposing ideological standpoints (I still am hearing cheap-shots being taken on a range of issues), but PKP and his wife’s (Julie Snyder’s) political activism has certainly monopolized much of Québec’s media’s overall energies. The winner in all of this? The Provincial Liberal Couillard government (who is not being severely criticized, even from those who are usually most critical of the provincial Liberal camp – namely left-wing sovereignists). Also, the Federal left-wing NDP party… and now even the Federal Right-wing Conservative party seem to be getting a free ride owing to a lack of airtime stemming to PKP having sucked all the oxygen from the room. Intriguing stuff. I can’t wait for the post-summer election season drama to resume in a few weeks to see where this all goes. With the media squarely focused on PKP (namely against PKP), such a fragmentation of media attention could have an unintended impact on Federal election results. It’s the middle of summer and good grief! It seems to be starting again. And Radio X let into Radio-Canada. You can listen to it here: Les Salaires à Radio-Canada. Well, at least it makes for great entertainment. Yup, we’re seeing the two “factions” back at each other’s throats again (Sigh x 10!). Radio-X is all over Rad-Can for what they see as leftist and political bias from 24/60 and a hate-on coming from La Soirée est encore jeune. They’re also lambasting Montréal’s media (and particularly Radio-Canada) for what they perceive as a continued news bias against anything right of centre. Wow… really really wow! Unbelievable. Here we go again!